Go ahead and rock your natural texture, no extra styling required — just be sure to protect your curls from the drying effects of the sun and surf. Bogucki recommends using a leave-in conditioner, spraying it generously on either damp or dry hair for a soft, natural look. 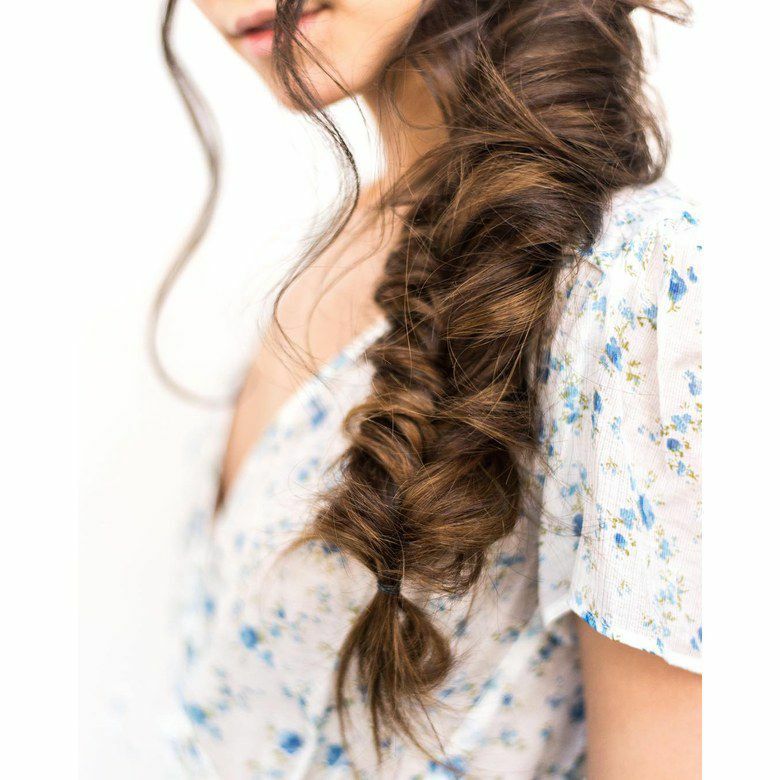 A fishtail works on several hair types, is surprisingly simple to create, and is guaranteed to draw major compliments. The one caveat: It's best for those whose hair is at least shoulder length. Any shorter and you won't be able to fully see the detail of the braid, notes Bogucki. If your hair is on the smoother, sleeker side, prep with a sea salt spray to add a bit of texture (or use the real thing if you can), then pull all your hair to one side and divide into two equal pieces. Taking a small strand of hair from the outside of the left piece, cross it over to join the right. Repeat, taking a strand from the right and bringing it over to the left. Continue all the way down, securing with a clear elastic. For an undone look, tug gently on either side of the braid to loosen it and make it look thicker, then let the salt water and wind do the rest. 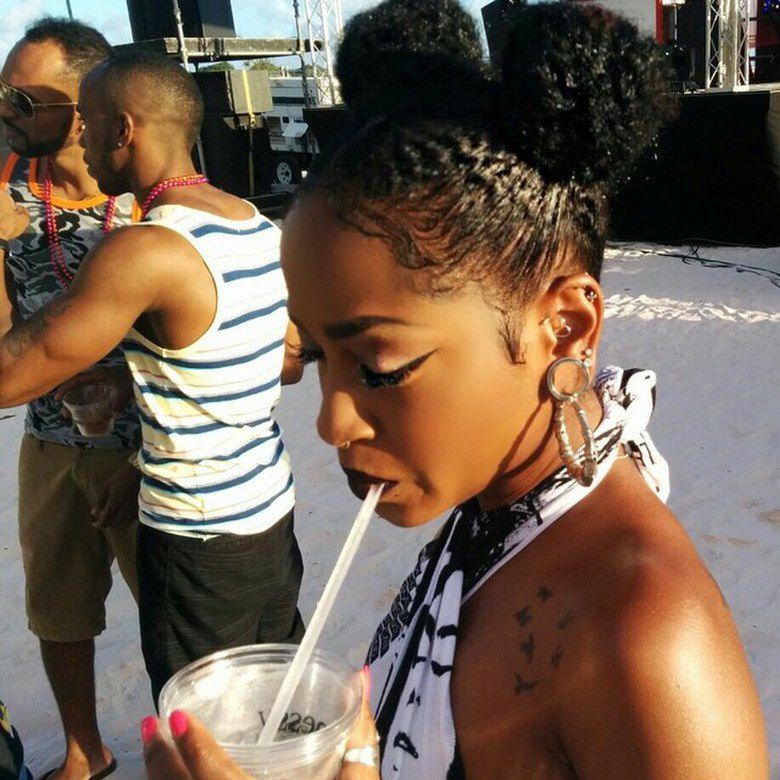 Channel your inner '90s club kid with this adorable (and hassle-free) hairstyle, which works on any and every hair texture. "Not only does it keep your hair off your face and neck, but it also looks better the messier it gets," says Bogucki. Create a middle part, then split your hair into two sections. Pull each section into a ponytail that sits just to the side of the crown of your head. Then twist and coil each tail into a bun, securing with bobby pins or an elastic. "This option is perfect after you get out of the water, since it works well on wet hair," say Bogucki. The sleek finish is a nice contrast from the tousled look people associate with beach hair, and will work even on slightly curly hair, as long as you can comb it out straight, he adds. If your hair isn't wet, work an oil from mid-shaft to ends to add sleekness. Create a deep side part and pull hair into a tight side ponytail, just above the nape of your neck. Wrap it around itself, securing with another elastic. It doesn't get much easier than this: Gather your hair on top of your head into a loose bun and pin in place. Then wrap a scarf around your head like a headband, or slide on a turban. It's a great look to try when you have to go straight from the beach to happy hour: "The wind and water will add lots of texture and volume that enhance the look," says Bogucki. Another option if your hair is less textured: A quick hit of a wave-enhancing or salt spray. 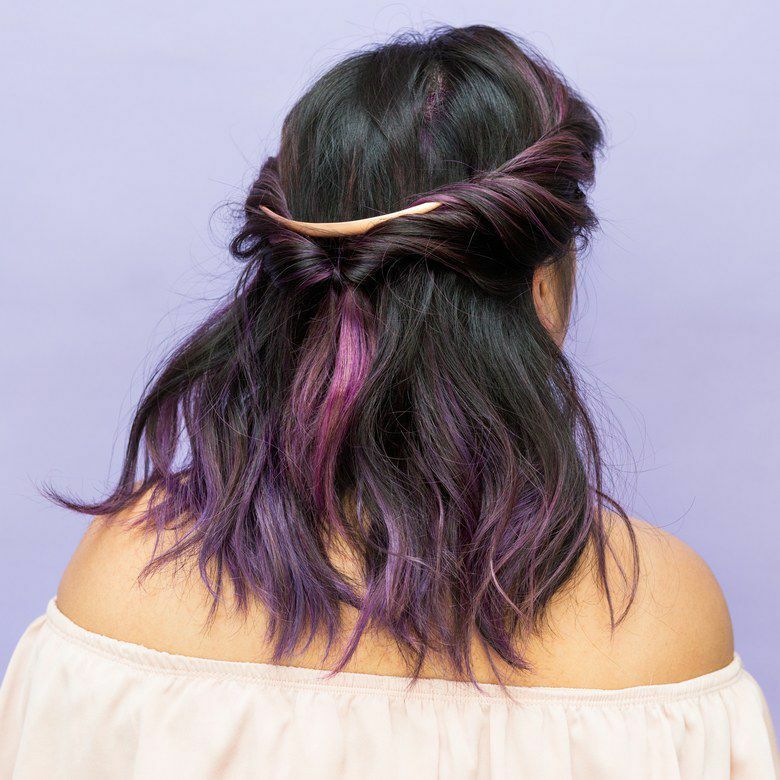 Half-updos are hot right now, says Bogucki, not to mention that they work on shorter lengths. For this twisted take, part hair in the middle, or slightly off-center (up to you), and take a two-inch wide section of hair on each side. Loosely twist each one towards the back of your head — again, there's no need to worry about perfection — pinning them together where they meet. Pro tip: Spritz your bobby pins with dry shampoo — it helps them grip the hair better so they won't slip out. Visit WHITE Salon for your summer looks.